With a fresh new contract in hand, A.J. 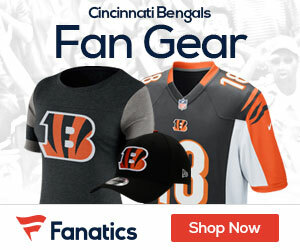 Green and the Bengals get set for their opener in Oakland Sunday against the Raiders and new head coach Jack Del Rio. Green was given a four-year deal Friday worth a reported $60 million. While he and Andy Dalton have been a dynamic duo for the Bengals, winning 40 games over the last four seasons, the team has yet to win a playoff game. They will look to exercise their demons when they kickoff the season Sunday on the road. The cats are hoping to get to a fast start, and also boast running back Jeremy Hill, who had a solid 2014. The Bengals are hopeful that Dalton, who has been solid in the regular season but bad in the postseason, will be able to take on more of a leadership role in 2015. The Raiders ranked at the bottom of the NFL with 282.2 yards per game in 2014 and whose 253 points were ahead of only Jacksonville’s 249. Oakland gave up a league-high 452 points while finishing 3-13, their worst showing since going 2-14 in 2006. They are hoping that bringing in a defensive minded coach in Del Rio will install some needed fire to their defense, and the team took a chance on Friday, picking up Aldon Smith, who was released after more off the field problems while with the Niners. The team is hopeful two young players, QB Carr and RB Latavius Murray, will give their offense more fireworks when they take the field at home for the first time Sunday. Murray is set to begin his first full season as the starting running back after averaging 5.4 yards per carry in his final six games of 2014. 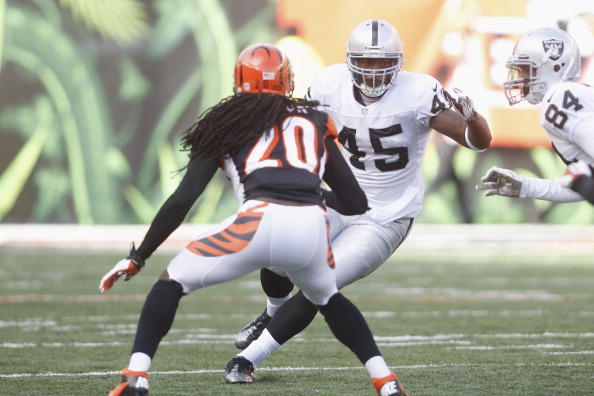 The Raiders still have a long way to go on defense, and while they will be better, the Bengals have too much firepower and will get to 1-0 on Sunday.